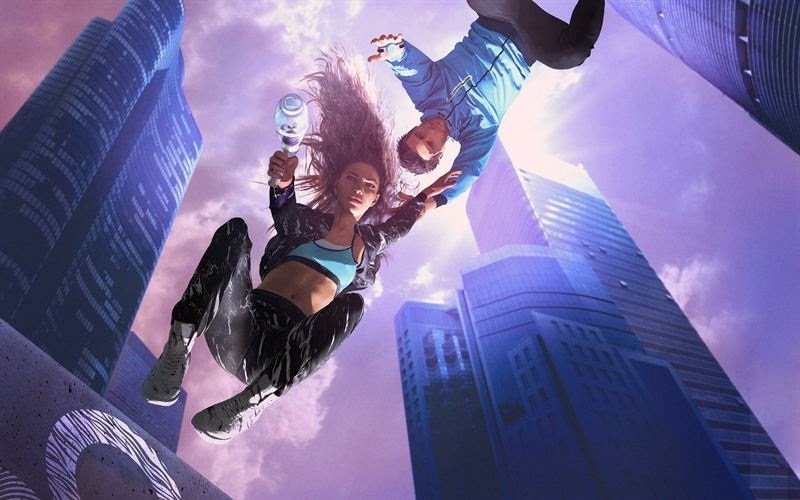 Yesterday, on the 28th of January 2015, Björn Borg launched its spring summer 2015 collection through a game named First Person Lover; taking the collection inspiration of fictitious worlds to a whole new level. Through the game, players can wear key looks from the collection, and even purchase the clothes they wear. They have taken the aesthetics from the First Person Shooter games and turned it upside down. They want to offer gamers and shoppers a whole new experience at the same time as they continue their mission to take an active stand for more love in the world, comments Lina Söderqvist, Marketing Director, Björn Borg AB. In First Person Lover, evil and hatred is taking over a place in the world. You mission as a Love Agent is to fight the forces of evil with the power of love. Equipped with a love glove, you master your enemies with e.g. a hologram kiss blower, a flower petal thrower or rainbow caster made from pink gold, white leather and acrylic glass for the ultimate style experience. The Spring Summer collection is inspired by fictional worlds like mesmerizing mythical islands, lost worlds and visionary computer games. The collection was first presented at Fashion Week Stockholm last August. In impressive caves on an island in Stockholm, Björn Borg, in collaboration with Creative Show Director Bea Åkerlund, treated the Fashion Week audience to an extravagant game-inspired runway show. Celebrating individuality, love and fashion in a digital era, the show served as a teaser for the Björn Borg ”First Person Lover” computer game, releasing worldwide in January 2015 together with the brand’s SS15 collection. More information about the collection can be found at the bottom of this page. It has been extraordinarily fun to see the collection come to life in 3D and having avatars wearing it. The game has taken my vision of fictional worlds to a whole new level. I might be the first designer ever that has his collection bought through a game, says James Lee, Head Designer, Björn Borg. Graphic artist Christopher Brändström has recreated the Björn Borg Spring Summer 2015 collection in 3D. ABOUT BJÖRN BORG: The Group owns the Björn Borg trademark and its core business is underwear. It also offers sportswear and fragrances as well as footwear, bags and eyewear through licensees. Björn Borg products are sold in around thirty markets, of which Sweden and the Netherlands are the largest. The Björn Borg Group has operations at every level from branding to consumer sales in its own Björn Borg stores. In total, there are 38 Björn Borg stores, of which 17 are operated in the Group. Total sales of Björn Borg products in 2013 amounted to around SEK 1.5 billion at the consumer level. Group net sales amounted to SEK 499 million in 2013, with 159 employees. The Björn Borg share has been listed on NASDAQ OMX Nordic in Stockholm since 2007. Learn more about fashion games here on Apparel Search. Björn Borg SS15 draws its inspiration from fictional worlds. Mesmerizing mythical islands, lost worlds and visionary computer games. A mainly monochrome collection where sport and fashion are intertwined. The key prints in the collection are inspired by water, coral structures and ancient temples. These prints are found throughout all product groups. The key material trend for this season is mesh. This runs through inserts, paneling and details across apparel, underwear, bags, footwear and eyewear. Styling takes its inspiration from scuba wetsuits through using chunky zips, neoprene, thicker seams and mixing together bright colours with black. Important colours in the SS15 collection are black & white and combining these with soft shades of grey, pink, orange and mint. The Björn Borg SS15 collections of underwear, apparel, footwear and bags will be available at select retailers and Björn Borg concept stores as of January 2015. Thank you for taking the time to read our fashion brand blog post. We hope that you have found this news to be informative. If you have comments or questions, please add your thoughts in the discussion area below. Are Disco Pants in Style?